Hey guys! Crankbaits are absolute cornerstone of bass fishing and have stood the test of time. They simply work and are tons of fun to fish. The can be said to be, arguably, the most productive baits of all time. Read on to check out some awesome bass crankbaits. This crankbait is the most tried and true crankbait for bass and has been around for a long time. It performs well all around. It’s constructed out of balsa wood, is well-balanced, and dives down the depth that is advertised. In fact, the depth is labeled on the lip so that you don’t have to do any book keeping yourself. On forums and review sites, many anglers tout this crankbait as the absolute must-have in your arsenal. It casts very well flying true through the air. It’s effective and puts fish in the boat. This one is a no brainer. Take away: A must-have lure officially voted on by bass fisherman everywhere. Dives to about 6 feet. The IMA Pin Jack 200 is a relatively inexpensive crankbait with good performance. It has a lot of torque and dives down to 6-8 feet. The way it flows through the water is with a tight smooth wiggle greatly resembling bluegill or shad. A big plus is its ability to back up off cover or grass. Less hang ups equal less lost baits which means less money spent on your part. Many anglers have commented on this quality of the bait and love it. Also, the stock hooks are of good quality and are very sticky. The bait in general is just durable and holds up to a good amount of abuse. Good quality material coupled with good performance. Take away: Good stock hooks and minimal hang ups on cover, logs, and grass. This crankbait is great to use in early spring because you can work it slow. It has a great erratic action, and is very tough when banged off rocks unlike some of the other baits out there. It’s amazing at just how tough this bait is. They can work as deep as 8-10′, but you can use it for shallower water columns if you slow down the retrieval. They also bump off of rocks and logs decently well so you likely won’t get hung up. It may be a small bait but it can catch some big fish. A big plus to this bait is that since it is so small it casts into the wind easily. Take Away: This crankbait is known for its deeper dive, decent durability, and erratic action under water. This one is a lipless lure and is great for med retrieve rates. Too fast and it seems to get too wobbly and fish stop biting. Too slow and it doesn’t seem to attract them as well. The lure sinks quickly, but rises fast when reeled in. It has a nice action and the rattling sound is loud enough to hear when it gets close to you as you are reeling in. The rattling noise attracts the bass fairly well. This is a great lure that is relatively heavy for its size allowing for some good casting distance. 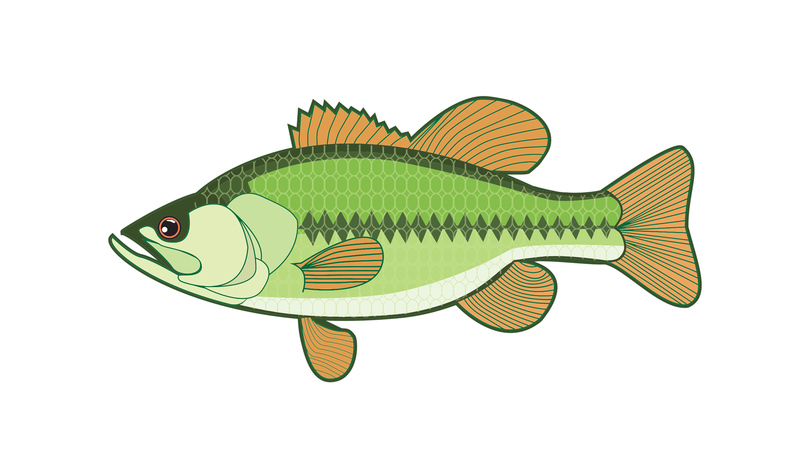 Take Away: Rattling noise attracts the bass and lipless design allows for many different styles of retrieval. This crankbait is a relatively smaller and lighter one designed to be used for the shallower water column ideally from 0 to 3 feet in depth. It does have a small square bill though and works to the depth as advertised. These lures are pretty durable with good sharp stock treble hooks. They have a nice wobble going through the water, and look like a dying baitfish. They maintain exact same action no matter how fast you reel them in. This crankbait is a great cheap option with balanced performance. Take Away: Inexpensive without compromising performance and is designed to dive to a shallow, 0-3 feet water column. A lot of hard bait companies out there often put some low grade hooks onto the lure which is fine and they work BUT if you want to fish to the best of your ability, it is advised to switch out the stock hooks with something else. The reason the hooks are of lower quality is because the stock hooks bend easily without too much force applied. I recommend the Gamakatsu brand of hooks . They are very available across the board as you can get them anywhere. The EWG trebles and the round bend hook types are recommended for bass fishing. They are very strong and very sharp and will keep their quality up for a good amount of time.